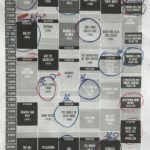 #TCMFF 2018 – Full Schedule Posted and Where You’ll Find Me! Good news, everyone! The full schedule for the 9th Annual Turner Classic Movies Film Festival (TCMFF) has finally been announced. You can even download a full .pdf of it here. Like many of my peers and in years past, heartbreaking decisions on what to see, who to see it with, and just whether or not food is ‘optional’ for a four day stretch all lay before me. Nancy Olson introduces Sunset Boulevard. Director John Carpenter introduces the original Scarface. A chunk of the cast of Animal House will be there for a screening of the film. Special 3D presentations of both Harold Lloyd shorts and The Creature from the Black Lagoon. 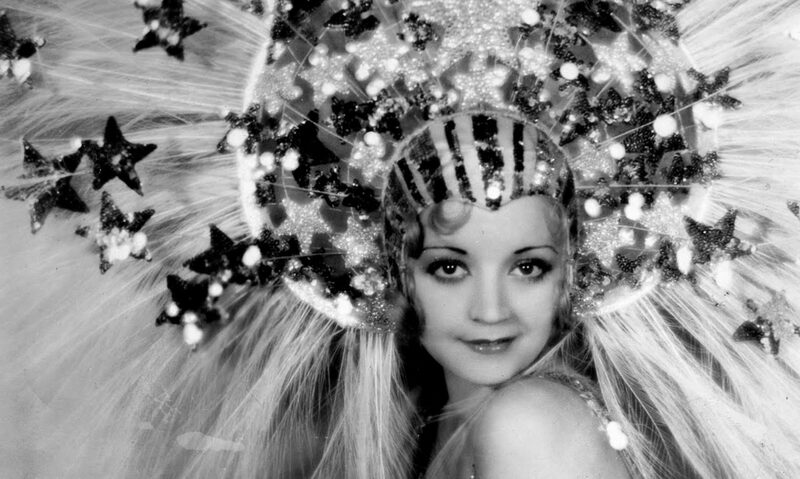 Nitrate screenings of Leave Her to Heaven, Stage Door, Spellbound, and (the good) A Star is Born. Eva Marie Saint at Grand Prix and Hatful of Rain. The Pigeon Sisters at a screening of The Odd Couple. There’s a ‘Roaring Twenties’ Party, which I could totally show up to dressed as a robot just to be annoying. Prioritize, I tell myself. But that doesn’t always work. Do you pick films you love first? Guests you want to see? 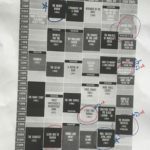 Panels that sound absolutely fascinating? Or do you just follow your friends around like a lost puppy? 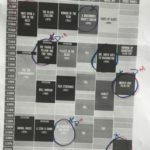 My wife will be attending this year (the whole week this time, thankfully), and she already did her take on the schedule. Apparently, we won’t be seeing each other. 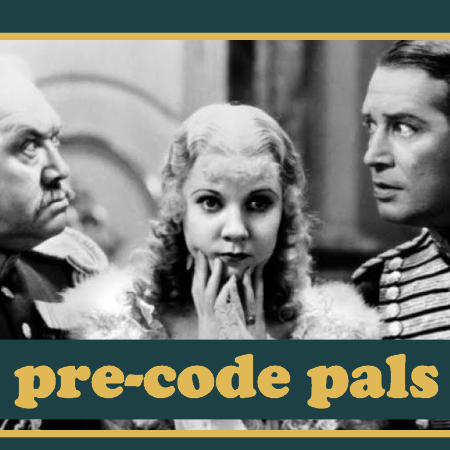 Most of my decisions revolve around this site’s focus — it’s the pre-codes, stupid– and my own desires. I really need to see Eva Marie Saint speak sooner rather than later. I also felt like last year I spent most of the fest at the Egyptian, so this go around I’m trying to make sure I’m being a bit more balanced, and going to at least two or three shows in the massive Chinese Theater. I went ahead and put together my (always tentative) picks for the festival here. I’m in red, my wife is in blue. If you think this is confusing, I assure you, it is. I’m already dreading the bloodbath it’s going to be to get into Finishing School on opening night, though maybe my wife’s choice of Stage Door afterward will be worse. My Friday morning will be strange– I’m planning on going to Grand Prix and the Harold Lloyd 3D exhibition, distant from the usual hub of madness. There are several ‘choose your own adventure’ options for the both of us, and, as always, peer pressure will play a part. If you see me or my wife at the Festival and want a pin, just ask! Exclusive media before it is posted on my blog, if ever. Last year I took videos of several introductions, which you can find over at my YouTube page, which I just now made public. 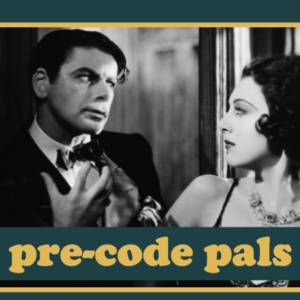 And exclusive ‘pre-code pals’ pin, with a design only given to backers. I’m also in the process of putting together an overall guide on visiting the festival that should be up in the next few days. I also put together a page with all of my prior years’ coverage on the site that you can access by clicking here. Scarface would be an absolute MUST-SEE for me. Weird—when I Like the post, the screen burps, then snaps back like I didn’t do anything. I’m pursuing my usual make a plan, then expect much of it to get vaporized by the prevailing winds. On my must-see list: The Black Stallion; Phantom of the Opera; Girls About Town; None Shall Escape (Marsha Hunt is my don’t-miss guest, I’m hoping she’ll autograph a lobby card and copy of her book). Also: Leave Her to Heaven and, slightly less mandatory, Stage Door in nitrate. 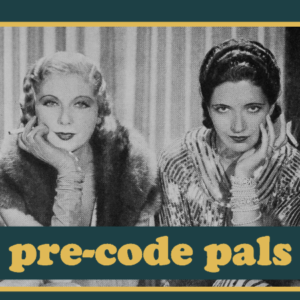 The Roaring ’20s party could be fly-on-the-wall fun (I don’t do costumes), and I’d love poolside Roaring ’20s but can’t do it bc of conflicts… Anyway, I know after five previous TCMFFs that this is my process: Make a plan, then blow it up as needed. And try not to anguish about what I don’t see/do, because I’ll be having such a great time with what I end up doing. On the question of whether it’s possible to go four days without eating, I say, not for me. But fingers cross the little sammich shop is still open in the mall—their BLTs saved my hash for the past two years, and I’m hoping to make it three… Not sure whether I’ll buy supplies to make sammiches at the hotel like I did last year…. I couldn’t find time to make the danged sammies! Looks like I’ll see you at Girls about town and I take this woman. Will you try the trivia contest this year?